The 6-qt. 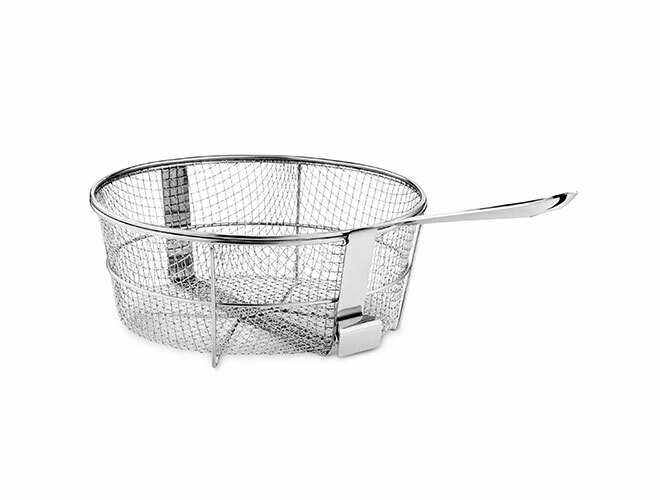 Multi-Use Fry Basket is made of 18/10 stainless steel and fits your All-Clad 6-qt. and 8-qt. 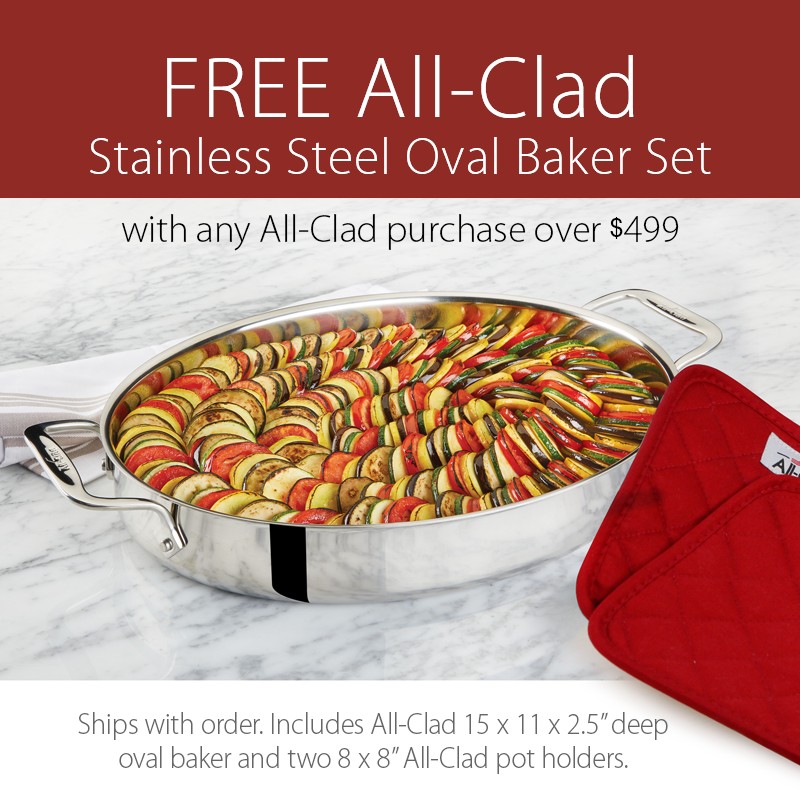 Stock Pots. 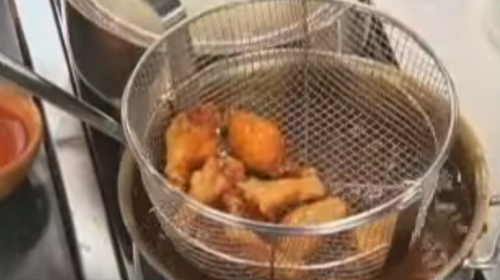 Dishwasher safe and perfect for all of your deep-frying needs. 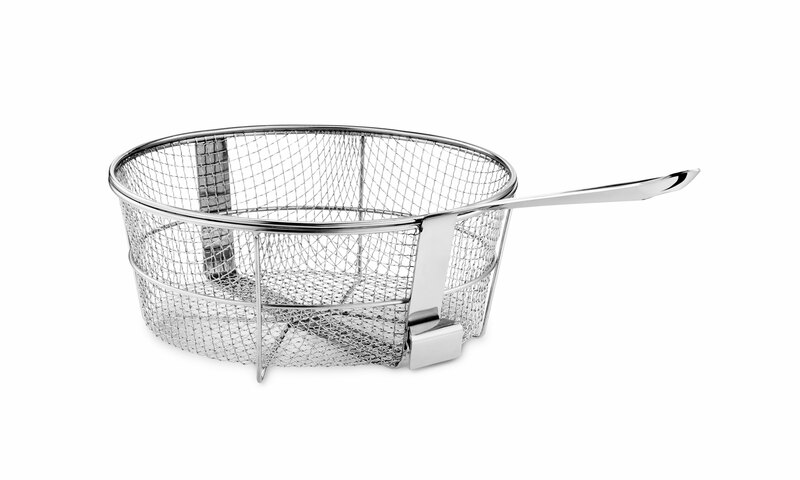 Contains the long, signature All-Clad handle and a hook to rest the basket on the side of the pan to let the grease drip off. 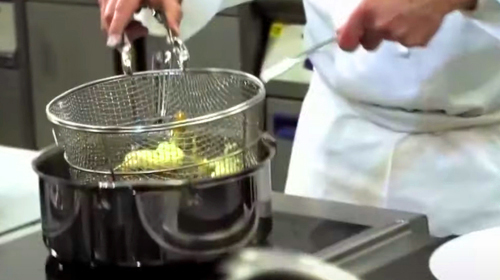 View a deep frying technique using the stainless All-Clad fry basket.